If your child has a dental emergency, call the office immediately. If the emergency happens outside of office hours, call the office and speak with the operator who will then page the doctor on call. The most common type of dental emergency is a plain old toothache. Over the counter pain medication can help temporarily but please see your dentist as soon as possible. Complications of delaying treatment can include: pain, swelling, abscess, extraction (for primary teeth), and root canal treatment. Look out for shark teeth! It is quite common for the erupting permanent tooth to show up behind the primary tooth - leading to two rows of teeth. In most cases, the adult tooth is still able to push out the baby tooth. However, if there is trouble wiggling the baby tooth out, and the child is in pain, the dentist can always help! Kids are very active and prone to accidents. It is very common for kids to chip a tooth during childhood, and unfortunately even in adolescence. Visit your dentist to figure out if any treatment needs to be completed. Significant fractures of primary or adult teeth will require an evaluation to determine of the break extends into the nerve of the tooth, and assess the possibility that the tooth may have been displaced. If the child has a difficult time closing his/her mouth, the child should be seen immediately. After a thorough evaluation, we will determine the treatment indicated which may involve restoration of the tooth. In most cases, if the patient is asymptomatic, no treatment is recommended. We may elect to smooth sharp edges for comfort. Gingival health is extremely important! If proper brushing has been ignored, the gums will be red, puffy, sensitive, and bleed on brushing. This condition is called gingivitis. It is common to confuse these symptoms with a toothache. See your dentist for a thorough cleaning and maintain good oral hygiene to prevent further complications. Both of these types of injuries need to be evaluated immediately. Permanent teeth that are lost should be recovered if possible and transported either in saliva or milk to the dental office ASAP for re-implantation and stabilization. 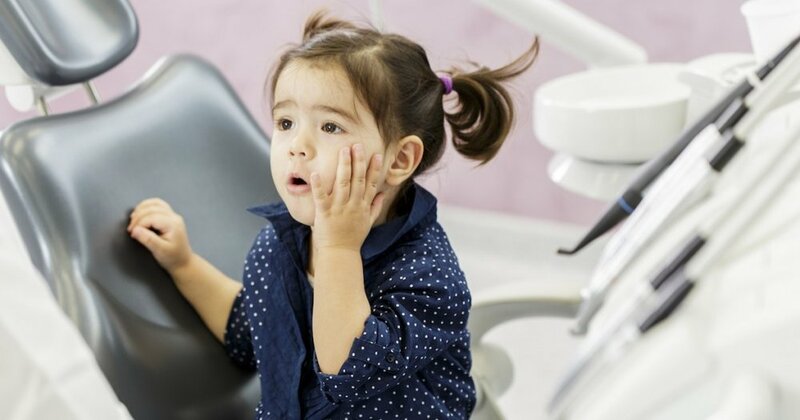 Primary teeth are typically not re-implanted for fear of damaging the permanent successor, but need to be assessed by the dental health professional. Displaced teeth (either primary or permanent) also need immediate evaluation to determine if re-positioning is needed.